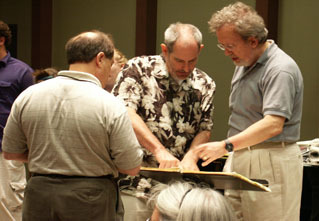 I can vividly remember meeting Paul at a conference, after a session at which he demonstrated things from the organ bench. It was the first time I heard someone talk about “orchestrating” hymn accompaniments based upon musical stylistic history. It became so routine for me that I’m sometimes caught short when I realize not everyone does that. He was passionate about all things worship, and musical, and our profession is the better for him having been a part of it.